As Ukrainian authorities try to find the absconding former president of the country, Viktor Yanukovych, several media outlets are relying on information from users of social media sites like Facebook, VKontakte and Live Journal. 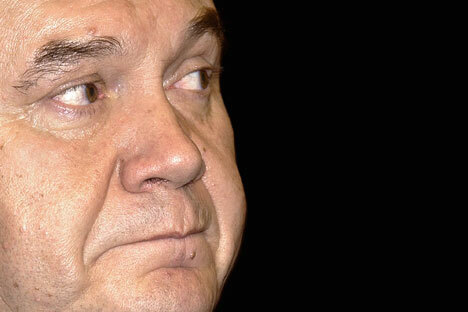 RBC said Yanukovych is hiding in Russia, citing anonymous businessmen as sources. According to some reports, he arrived to Moscow on February 25, 2014. Unconfirmed reports even said that “someone who looks like Yanukovych” was seen on the 11th floor of the Hotel Radisson Royal (the former Ukraina hotel in Moscow). The ‘Ukrainian Choice’ reported that Yanukovych is hiding on Mount Athos in Macedonia, citing the Facebook page of journalist Mikhail Mischishina.According to RBC Yanukovych now, supposedly located in the suburbs of Moscow, in a clinical sanatorium is being protected by the Kremlin. The Russian president’s office was not immediately available for comment on these reports.Other possible locations of Yanukovych are the Kharkiv, Donetsk , Crimea, Chernihiv and Transcarpathia regions of Ukraine. A few hours ago, the “official” statement by Yanukovich appeared in social networks. It says that Yanokovich is now in Sevastopol (Crimea). In his statement he urges “the Ukrainian Armed Forces begin active operations against the revolutionaries”.